CHICAGO, May 17, 2018 /PRNewswire/ -- CNA today announced the appointment of Bruce Dmytrow to Senior Vice President, Healthcare. In this role, Dmytrow is responsible for the overall strategic leadership and direction of CNA's industry-leading Healthcare underwriting unit. He reports to Kevin Smith, President and Chief Operating Officer, CNA Specialty. Dmytrow joined CNA in 1995, most recently serving as Vice President for Aging Services and National Programs. Throughout his career at CNA, he has had oversight for CNA's enterprise-wide risk control strategic direction for Healthcare, Professional Services and Financial Institutions Customer Segments in the U.S., Canada and Europe. 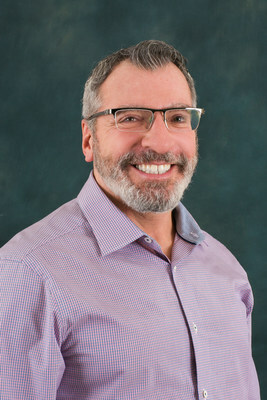 Prior to joining CNA, Dmytrow served as a Manager and Healthcare Consultant at MMI Companies, Inc., and Bio-Med Associates, Inc. Before his career in the insurance industry, Bruce served as a Medical Dosimetrist at the University of Chicago Hospitals and Northwestern Memorial Hospital, where he utilized his clinical experience to treat and manage oncology patients. Dmytrow received a Bachelor of Science degree in Biology from Boston College. He received a postgraduate degree in Medical Radiation Dosimetry from Yale University Medical School/Yale-New Haven Hospital and a Master of Business Administration degree in Entrepreneurship from DePaul University. He also holds the Certified Professional in Healthcare Risk Management (CPHRM) designation, was an active member on several healthcare organization board of directors and advisory boards, is widely published and often quoted in industry journals.